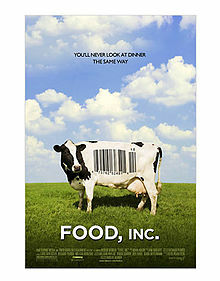 Recently I saw the move Food, Inc. I’ve been hesitating to watch this film for a long time because I was told it’s incredibly depressing, but I gathered my courage and watched it one day a few weeks ago. I’ve heard a lot of what’s in the movie before, about how animals mass-raised for consumption are kept in awful conditions without proper ventilation, about how some chickens are bread to have extra breast meat and are so top heavy that they can only walk a few feet before falling down, about the antibiotics fed to livestock. I did learn a lot from the movie, though. Before I watched it, I had never heard of Food Libel Laws, which make it easier for food producers to sue for libel. Opera Winfrey was sued in 1998 for making some kind of disparaging remark about beef and Mad Cow Disease on her show. I also didn’t really know the extent to which The Monsanto Company has been affecting small famers in the US. Their policies and practices are particularly on my mind these days because they’re trying to set up test plots in Nepal (with the support of USAID), something I think would be awful for the farmers here. Here are three articles that describe the issue in further depth: Nepali Times article, Republica article, ekpantipur article. Food, Inc. is part of a movement that’s been generating speed for at least the last decade, although probably much longer. There have been a number of books and movies about fast food and mass food production in the United States. The two that come to mind are Fast Food Nation, published in 2002, and Supersize Me, a film featuring Morgan Spurlock, that documents his month eating only McDonald’s food. Other books and publications that have tried to promote alternative ways of eating are books like Michael Pollan’s Eat This, Not That and a book called Wild Fermentation by Sandor Katz. (Courtesy to my mom and brother for introducing me to a lot of these people and books). I have a pretty cursory knowledge of this movement and its impact, but it has always seemed to me that one of its problems has been its inability to get a socio-economically diverse group of people involved. However, the basic messages that a lot of the books and movies set forth could benefit anyone. Some of the messages that I’ve come away with are things like mass-produced food is not so good for us and some of the food our grandparents and great grandparents cooked and ate should be reintroduced into our diets. The movies and books also suggest that we eat organic and local when available and when it fits within our budgets. None of these ideas are revolutionary or new, but probably good to remind ourselves of. Living in Nepal has made it feasible for us to follow some of these suggestions but impossible to stick with others. For instance, organic food is hard to find here. There is a small market that I know of that sells organic produce and daal, but it’s far away and expensive. A lot of our food comes from small farms near our house, and I doubt that they use a ton of pesticides, but I don’t think they’re organic either. When I lived up in the hills with a Sherpa family, all of the food that they grew was organic (not certified as such), but they never used pesticides and their fertilizer was natural; it came from cows and chickens. 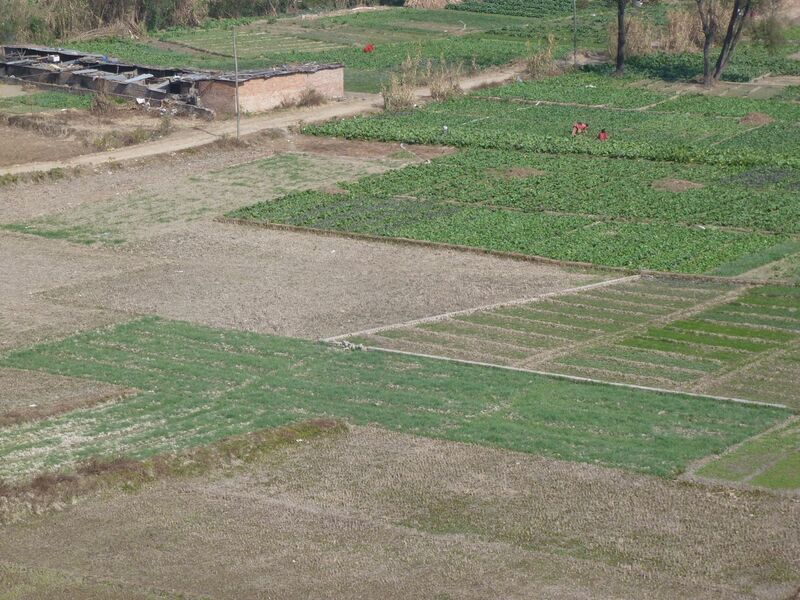 But as far as I know, most farmers do not farm organically in the Kathmandu Valley, so our vegetables are generally not going to be organic. Organic or freerange meat is also hard to come by. Although all of the meat we eat is local, from what I’ve heard, not all of it is raised in the best of conditions. You can get local kukhura, “local/free-range chicken,” (mentioned in this post) but it’s hard to find and again, expensive. One thing that’s really easy to do in Nepal is eat locally. Part of the reason for this is our fairly simple diet. 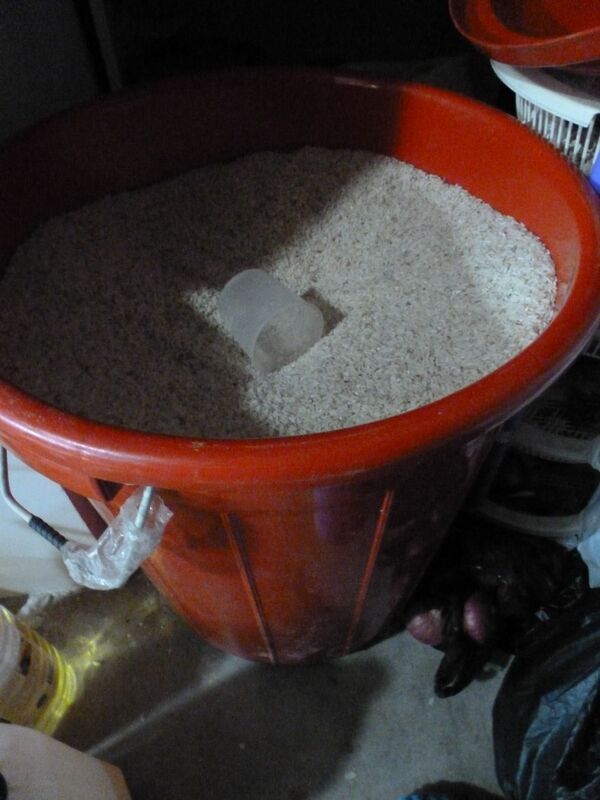 Our main food consists of rice, daal, vegetables, flour (for making roti), and meat. Of course, I eat candy, crackers, biscuits, etc. that are often imported, but generally, on a daily basis, almost all of the food I eat comes from inside of Nepal and often from inside of the Valley. We also get milk delivered every day from a farmer who lives nearby. He milks his cow in the morning and brings the milk to us in a container. It’s very yellow; the milk I used to buy in the US was always white. Someone told me that it’s yellow because the cow just had a baby, and so I guess the yellow color is indicative of extra nutrients and fat in the milk, but I saw something else online that said that yellow milk is caused by carotene, found in grass and other green plants. The milk I used to buy in the US was relatively more processed than the milk I drink here, so it’s unlikely that I ever would have peered into a container to find yellow milk. I don’t think my diet is necessarily healthier here, but it is simpler, and living in Nepal has definitely led me to eat more locally than I would in the US. Part of the reason why my diet is so simple is because I don’t have as many options, but when I get back stateside, I will have lots of option, and I don’t know if I’m going to want to limit myself to eating locally. When I’m back in the US, if I see some great-looking imported fruit in the grocery stores in the winter, I don’t think I would stop myself from buying. But I think eating locally and even more than that being around farms and farmers has made me more aware of the whole process of growing food and what that entails.